The first ever launched microbrewery in India was at the city of Pune which serves a line-up of these miraculous craft beers. The beer lovers frequent this brew house for not only its wide spread of amazing brews such as traditional stout, porter, cider and more – but also lip smacking delicacies such as skewers, burgers, curry and many more distinct titbits. These craft brewers hold their flagship events - The Doolally Beer Olympics and Doolally’s Oktoberfest - should not be missed by beer enthusiasts. Recreating the magic of beer gardens in Bavaria, 7 Degrees Brauhaus at Gurgaon serves great tasting German brews ranging from light to dark in the traditional German setting. The four flavours on the menu are 7 Degree Lager, 7 Degree Wheat, 7 Degrees Special and 7 Degrees Master’s Brew. This microbrewery also offers finger licking Bavarian-style food as well as invitation to select brew tasting and other exclusive offers for members. P.S. 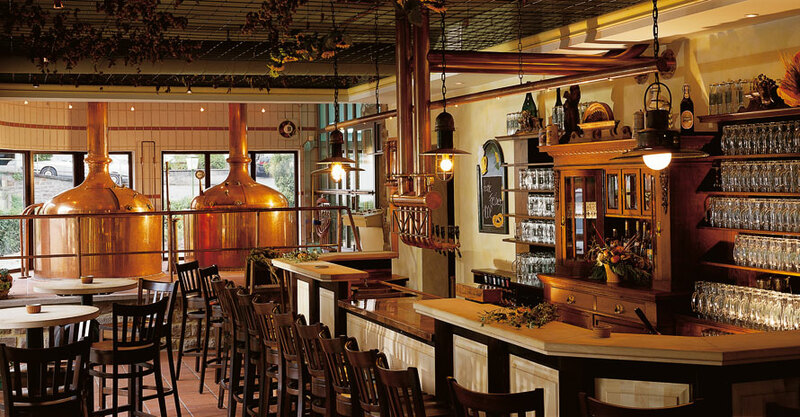 : Brauhaus = beer house; and serving beer which is at 7 degrees temperature makes it yummy. This brew pub grasps the essence of microbrewery culture and creates the best in-house beers as well as inventive beer cocktails which appeals to the crowd. Along with the fine selection of hand-crafted beer brewed beer to suit various palate, this brew house also offer an expansive menu of wood-fire oven style recipes to pair them with. The guided brew tasting session is also something to look forward to. SinQBrew is the first in-house brewery in the most happening destination of India - Goa. The microbrewery in Goa has brew masters who craft more than 15 international assortment of beer ranging from Canadian Light TO Irish Stout, Porter and more. This exclusive bar is the absolute haven for a perfect nightlife. With the increasing popularity of the hand-crafted beers and microbrewery, the Indian palate is priming itself to create as well as savour multitude of traditional and inventive brews. With cutting edge brewing equipments, the brew pub trend is being introduced around the country and Republiqin mobile application allows you to locate these microbreweries in and around your city with great easy. So, find a brew house now and spend an evening tasting fine and freshly brewed beers together with exquisite food and titbits.